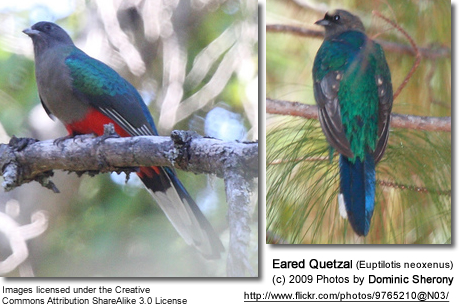 Below are images of Quetzal (bird species). 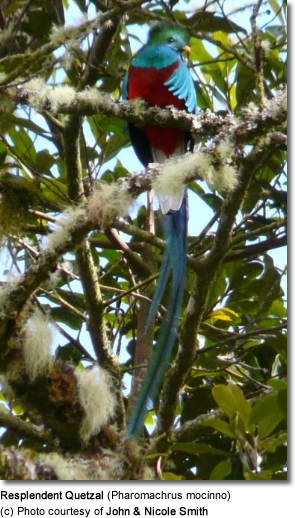 Please click on the respective images to go to the relevant Quetzal (sub) species for more information (including distribution, description, breeding, diet, etc.) 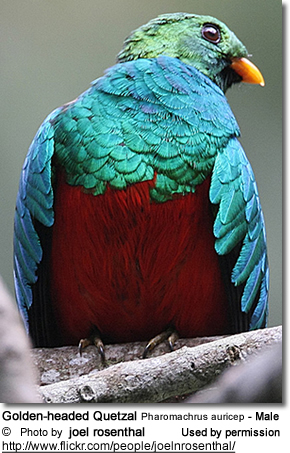 and to see more photos.